Imagine waking up in the morning and seeing beautiful ocean views. 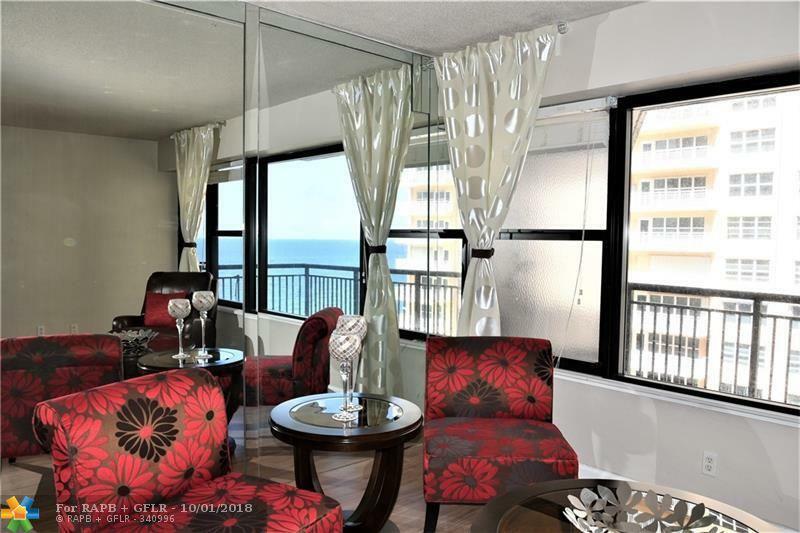 Yes, ocean views from both the living room and bedroom in this bright and airy unit. 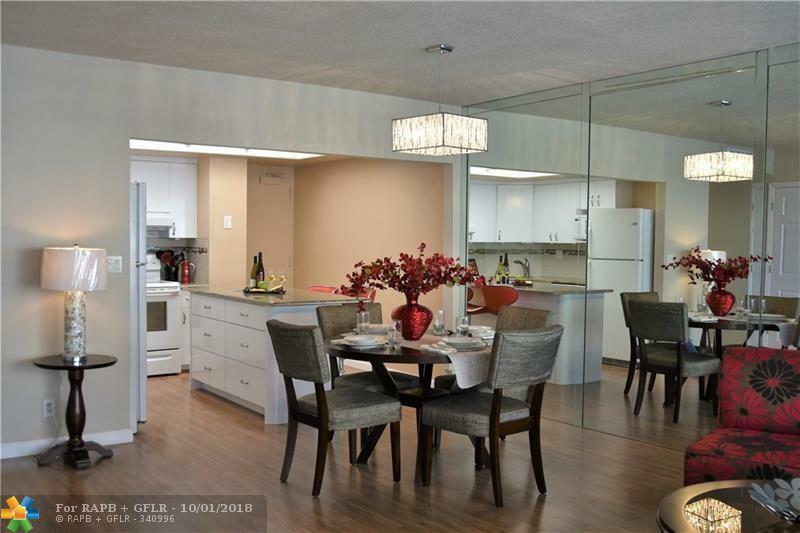 Strategically placed mirrors in the living room bring that same ocean view right into your kitchen too. The warm hues of the new laminate flooring balance the vibrant colors of the living room furniture and bright kitchen. The open kitchen concept, complete with newer appliances, partnered with the large granite island makes it ideal for gatherings of family and friends. The unit has been fitted with impact windows keeping noise out and adding to the security of this beachfront unit. Unit has large walk in closet for plenty of storage. 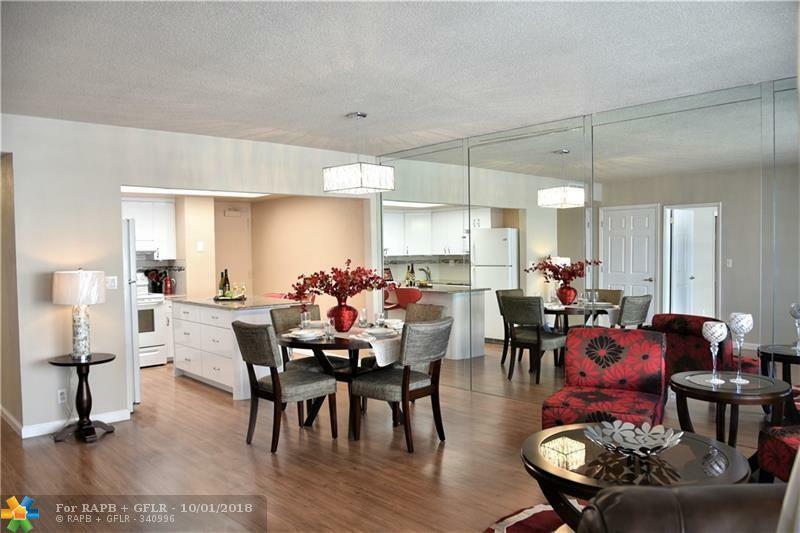 Never lived in since the renovation, this beautiful unit is just waiting for you to make it a home. 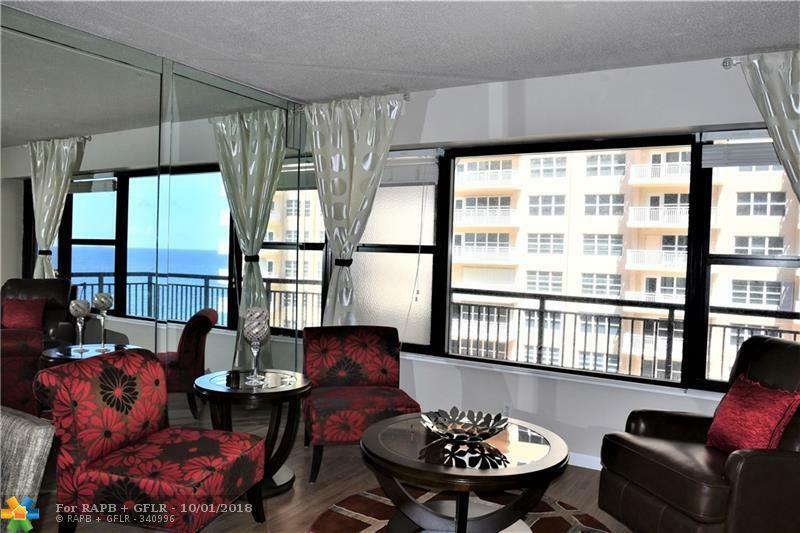 This listing is courtesy of Lauderdale Beach Properties.